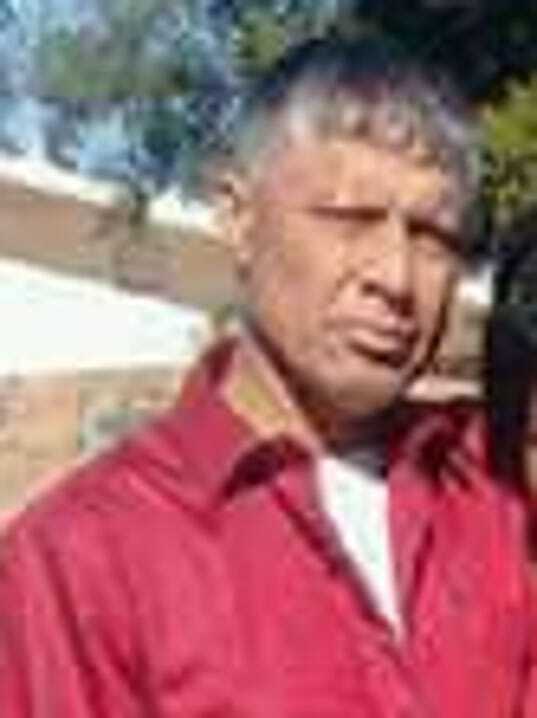 Dogs Bite Decatur Al: SAN ANGELO TX - CARLOS "RICKY" GARCES, 56, WENT FOR A WALK AFTER SUPPER ON SATURDAY WHEN HE WAS MAULED BY HIS NEIGHBOR'S 3 PIT BULLS... LIFE ALTERING INJURIES!!! SAN ANGELO TX - CARLOS "RICKY" GARCES, 56, WENT FOR A WALK AFTER SUPPER ON SATURDAY WHEN HE WAS MAULED BY HIS NEIGHBOR'S 3 PIT BULLS... LIFE ALTERING INJURIES!!! Three dogs have been euthanized after a gruesome attack that left a San Angelo man with serious injuries, according to a news release from the San Angelo Police Department. On Saturday, April 14, 2018, at about 9:45 p.m., police responded to the 300 block of East 11th Street for the report of a vicious animal attack after a caller said three dogs, described as PIT BULLS according to the news release, were "on top of a man, attacking him." "The man's skull was exposed, and a large portion of his scalp was missing." according to the news release. San Angelo Fire Department personnel transported Garces to a nearby hospital for treatment of serious injuries, according to the release. Nellie Garces, who lives in Brady, Texas, said she traveled to Fort Worth where her brother is heavily sedated and undergoing treatment." The damage is severe," she said. "So far, the doctors are having to go in and clean his skull. His main surgery will be Thursday, which will be about 14 hours, give-or-take." She said her brother had been out for a walk after supper when he was attacked. "I just want to thank the neighbor who helped save my brother's life," Nellie Garces said. "Right now, from here, we're just praying to God he gets better, and we will seek more information on what we need to do to seek justice." Police state the dog’s owner, a 23-year-old San Angelo resident, surrendered the three dogs to Animal Control. An official with Animal Control Services said they were familiar with the dogs and their owner after a March incident. The dogs were impounded and temporarily quarantined for observation after an attack on a stray dog — all reportedly showed no signs of rabies after the March incident. "The dogs, all three pit bull mixes, were destroyed as of this morning as a direct result of the attack," said Assistant Director of Neighborhood and Family Services Morgan Chegwidden. "And because the owner surrendered them, we were able to take immediate action." Chegwidden was unable to comment as to what legal ramifications the dog's owner may face as the incident is under investigation, but said "the state health code provides for a legal procedure where a pet owner can be fined, per animal, in the event of an attack." These injuries, and all injuries really, from pit bulls are gruesome! I could not imagine the pain from having my skull exposed. What is so infuriating is how pit bull advocates don't care that people suffer these severe injuries. As long as their pit bulls haven't killed or attacked, pit bulls are wonderful pets. If I had something that had the potential to do serious bodily harm to someone, I wouldn't continue to act as if it was no big deal. Especially if it would affect other people, not just me or my family. Pit bull advocates are selfish, incapable of following basic dog ownership rules, have nothing of value in their lives, and are mentally deficient. Pit bulls are not the only dog breed out there. Life would go on without that hideous breed. Actually, this man was lucky if you call it that. If this had been a child's head with much softer bone, this likely would have been a fatality. I too don't understand why people want to own dangerous dogs. I suspect part of the issue is that the most widely available cheap dogs to buy are pitbulls. Many are freebies. Years ago, the most widely available cheap dogs were all sorts of mixes but not pitbulls. If the price of pitbulls went up markedly, I think the problem would come under control. However, as long as supply far exceeds demand, pitbulls will be cheap. The type of people owning them are often irresponsible pet owners.